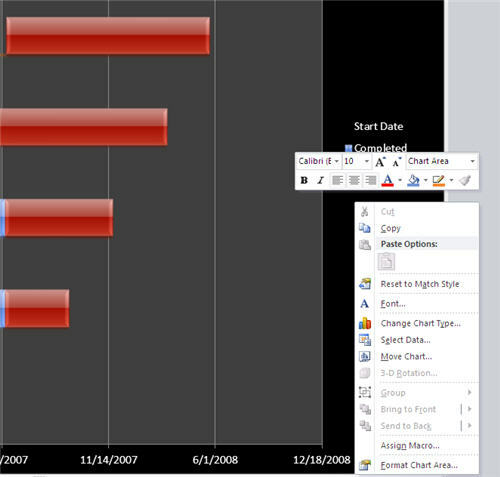 Get a free Gantt chart template for excel 2007 or excel 2010. If you are a project manager or project leader managing a software project or a project in any other industry, then you must be using a Gantt chart, a popular scheduling tool in the field of project management. Gantt charts are often used for representing the phases and activities of a project work breakdown structure (WBS), so they can be easily understood by any audience. 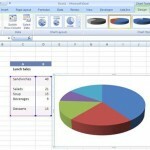 It is a type of bar chart illustrating a project schedule i.e. they illustrate the start and finish dates of the terminal elements and summary elements of the work breakdown structure of a project. Gantt charts represent part of the triple constraints of projects (i.e. Cost, Time and Scope) and they focus primarily on schedule management. A Gantt chart is usually created using Microsoft Project, a popular project management tool. 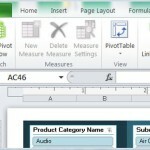 But if you don’t have this tool, then here is how you can create one in Excel with the help of a Gantt chart template. 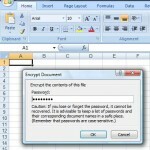 An excel template is an Excel workbook populated with formulas and content and is laid out in a certain format. Examples include Forms, Metrics sheets, etc. 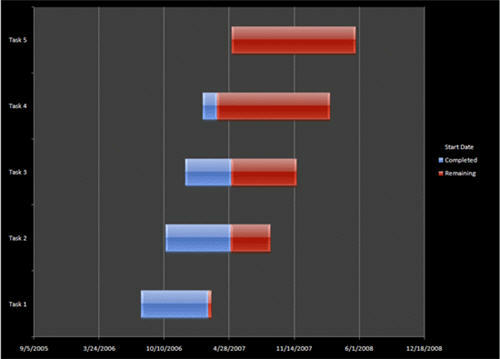 Free download the Gantt chart template from here. There are two sheets in the downloaded workbook. The sheet named Gantt chart illustrate the Gantt chart for the data in the sheet named “Data”. How to create a Gantt chart using the excel template? To create a Gantt chart for your data, open the Excel template in Excel 2007 or 2010, click on the data tab and start entering the “Start Date”, “Completed days” (i.e. no. of days work that has been completed) and “Remaining number of days” (i.e. no. of days of work yet to be complete) for the tasks.You can also give your own task names by editing “Task 1”, “Task 2”, etc. in the Data worksheet. If you have more tasks to enter, insert one or more rows below row 6 (Task 5) and enter the start date, completed and remaining number of days. Then go to the “Gantt Chart” sheet, right click on the chart area (not on the plot area) and choose the new chart data range.That is it! Download the Gantt Chart Template for Excel 2007 and Excel 2010 and start managing your project schedules easily.